With Mother's Day a little over a couple of weeks away, now is a good time to beat the rush and to start planning the perfect gift. Sending Mother's Day Flowers is an obvious choice whilst chocolates and greeting cards are also popular Mother's Day gifts. Mother's Day is on Sunday the 16th of March this year which may seem like a long way away, but it's surprising how these things can creep up on you and catch you out at the last minute! Presenting your mum with a bouquet of fresh flowers is a great way of showing how much you really care about her whilst reminding her how thankful you are to her. With this in mind, we thought we'd take a look at some of our specially designed Mother's Day flower arrangements to help you out if you are seeking ideas or inspiration for gifts. Kicking things off, we have the Mother's Day Bouquet which boasts an assortment of fresh roses, germini, alstroemeria and chrysanthemums. 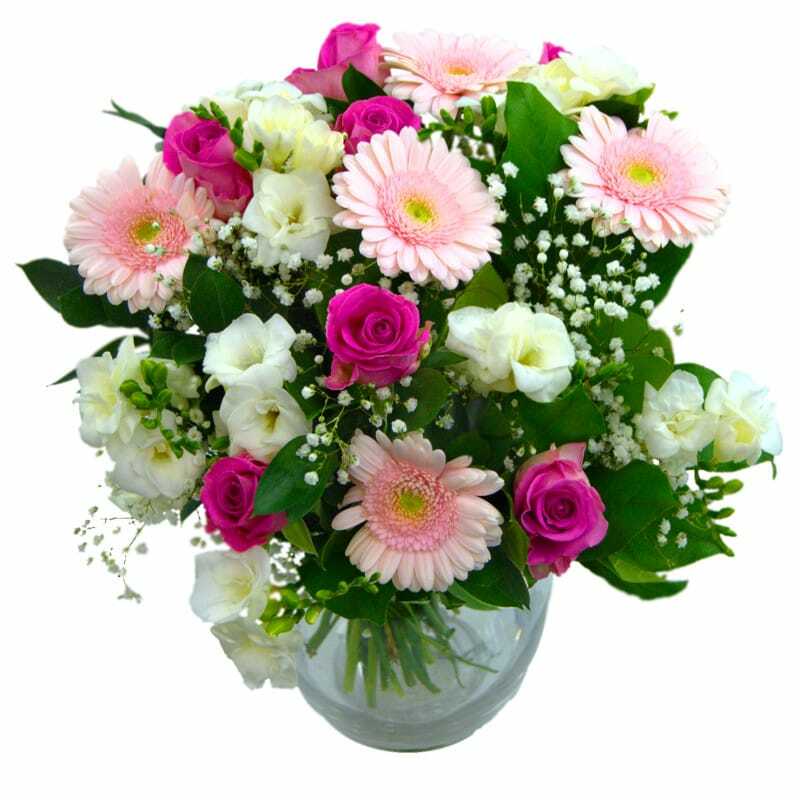 Overflowing with virbant pink colours, this eye-catching arrangement cannot fail to bring an enormous smile to the face of its lucky recipient. We are currently offering £7 off this lovely bouquet which already includes standard next day delivery included in the price! You can also add a vase, chocolates and a teddy bear for an extra special mum. 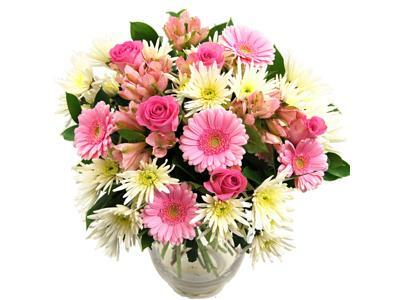 Our Sweet Mother's Day Bouquet is a colourful and radiant affair, filled with pretty pink roses, elegant white freesia and gorgeous pink gerbera. If you really want to go all out, you can make this bouquet deluxe for only £10 extra - this gives you 50% more flowers to create a truly bountiful bouquet to surprise your mum with. 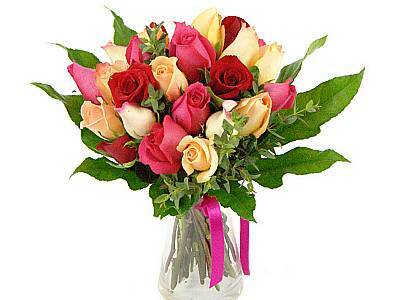 Last, but by no means least, we also have the resplendent Mother's Day Roses bouquet. This stunning arrangement features 20 high grade pink and red roses presented amidst green foliage. As with our other Mother's Day flowers, you can add on scumptious premium Thornton's chocolates, a lovely handwritten card and a stylish glass vase to create a lovely surprise to completely spoil your dear mum. After all, she deserves it!